Welcome to the Green Mountain Smoker! The first step is to open the hopper and insert the pellets into the black hopper to the left of the grill. DO NOT under any circumstance put pellets directly into the smoker. This smoker automatically feeds pellets into the smoke chamber and disperses even smoke throughout the grill area. Prior to turning on the device, ensure that holes on the grease catcher ramp are closed and that you have the bucket (if grill is standing on legs) or a bowl (if grill is on table) at the end of the right side of the grill where the grease comes out. Next, turn the grill on and set the temperature of the grill. Please review image below for recommended temperatures and cook times. Once meat has cooked be sure to check the internal temperature of the meat at its thickest point. We suggest going 10 degrees above the minimum internal temperature to ensure the meat is fully cooked. 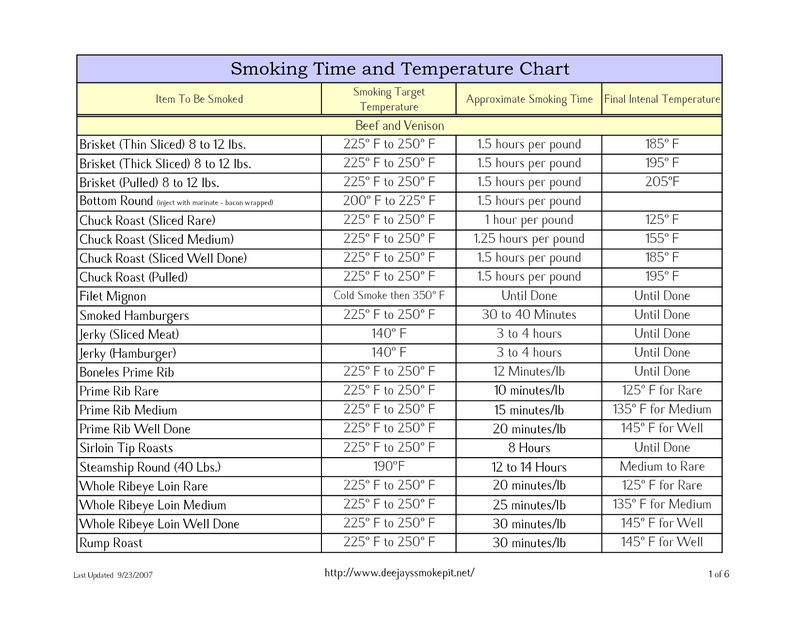 Below we have provided a list of meats and the optimal grill temperature and internal meat temperature, this can also be found on the hopper of the smoker. If you'd like to further dive into the Green Mountain Smoker and remotely control the temperature of the Grill, please proceed to the bottom of this page and click on the instruction link to connect to the grill. Click here for instructions on how to connect to the Green Mountain Smoker App and control the smoker remotely through your phone.